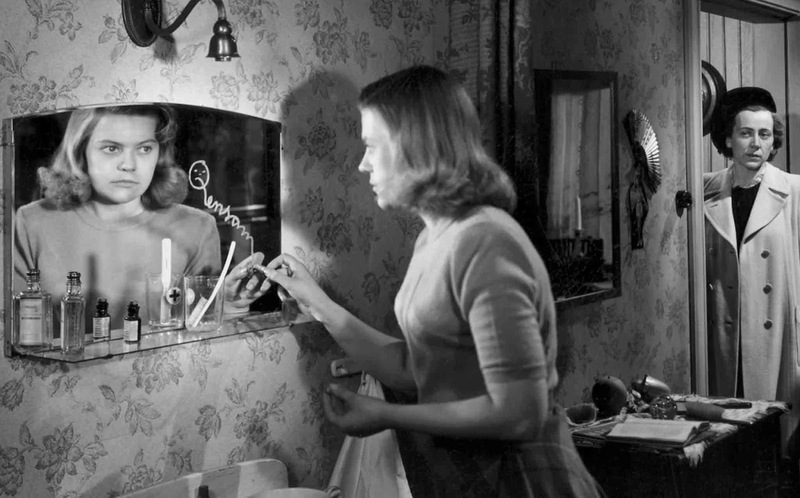 Port of Call (1948) was recently revived as part Film Forum’s Bergman retrospective, the art house equivalent of a marathon, 47 films in 5 weeks to commemorate the director’s l00th birthday. The film is On the Waterfront (l954) set in Goteborg as opposed to Hoboken, minus the unions and pigeons. That's to say it’s a gritty dock workers movie in which the seeds of Bergman’s deepest concerns, in particular the kind of haunting memoires of childhood that will populate movies like Fanny and Alexander, constitute the driving force of the narrative. The heroine Berit (Nina-Christine Jonsson), has grown up in troubled family becoming a borstal or reform school girl. She tries to drown herself in the first scene. At the same time she’s the film’s crusading Eva Marie Saint. Later she meets Gosta (Bengt Eklund), a sailor with a penchant for books at a noisy dance hall and the romance begins. 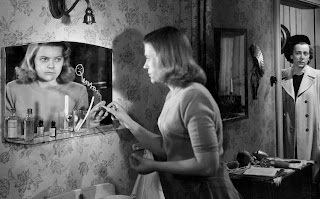 The only un-Bergman like aspect to the whole movie (spoiler alert) is the fact that the two live happily ever after. Port of Call is not just an early work that shows promise. It’s full of genius. There’s a scene in a movie theater recalling the convicts laughing to Disney in Sullivan’s Travels (1941). Later in tandem with a panning shot up through a craggy warren of buildings Gosta will cry out, with a nod to Hamlet, "damn bloody conscience" after his own Walpurgisnacht. The scene exudes the same dizzying effect of the jagged shots used by Kurosawa in Ikiru (1952). Obviously Bergman couldn’t have seen the Kazan and to what extent he was familiar with Sturges or Kurosawa is irrelevant. The subject here is the inception of a rich cinematic vocabulary. What Port of Call demonstrates is the youthful director’s facility in using the camera to go to those places where others feared to tread.